Whether you are busy preparing for the start of another school year, just going on with your regular work schedules or waiting for Fall (really!) one thing is for sure – Summer is going by quickly. We’re sure that a lot of you are still out camping, traveling, or chilling to make the most of the last few weeks (erm, days, maybe?) of Summer. In one of our previous posts, we had discussed about the places around the City you could casually hang out and relax. But Summer ‘adventures’ ought to get some adrenaline pumping. Yes, we know you are busy. We also know that you like the comfort of your home and enjoy the hustle-bustle of the City. But that does not mean you cannot indulge in some adventurous activities in the City itself! The thing is: there’s still adventure even if it does not cost an overnight in the wild. Here are, maybe, some unexplored adventures around the City that you need to uncover before Summer bids us adieu. H.R. MacMillan Space Centre – If history doesn’t excite you and Science does then this is your place to be. Bring out the geek in you at the H.R. MacMillan Space Centre. Learn more about the Sun, Moon, Stars and the Earth all while having fun. They have various shows scheduled for the mornings and evenings alike so head there at your convenience. But if shows are not your thing, you could check out the observatory and be fascinated by how amazing the Universe is! Don’t want to head there alone? Enjoy the experience with your family and friends by taking advantage of their Group visits and Family Program. And if you truly are a geek, rent one of their facilities and be ready to be mesmerized. Vancouver Seaplane Tours – Up, Up, in the Air is what we like. Being at the top is what we all love. Don’t we? 😉 This adventure might cost you a little bit more but the extend of BC’s beauty that you will discover, really justifies the cost. 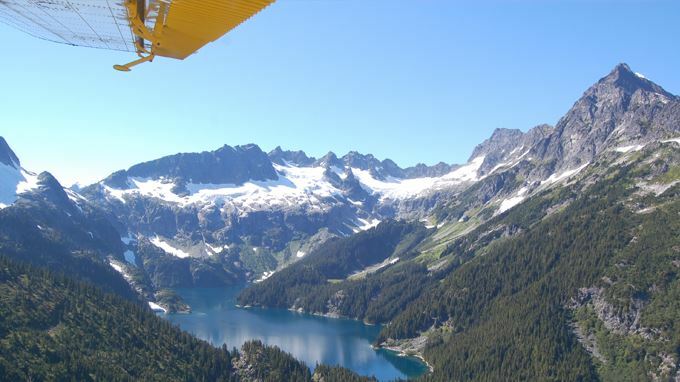 From Vancouver, Whistler, Nanaimo, Victoria, pick your destination and ready to fly. Now you must be thinking that the options to choose from are limited. Wait. For each of these places, they have different packages. Pick, Hop and Fly. You will definitely be in awe of nature’s beauty at its finest and rawest form.